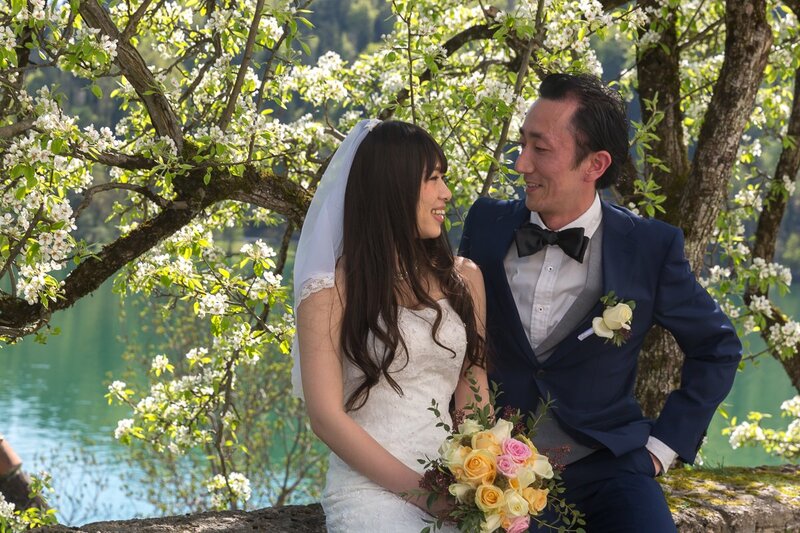 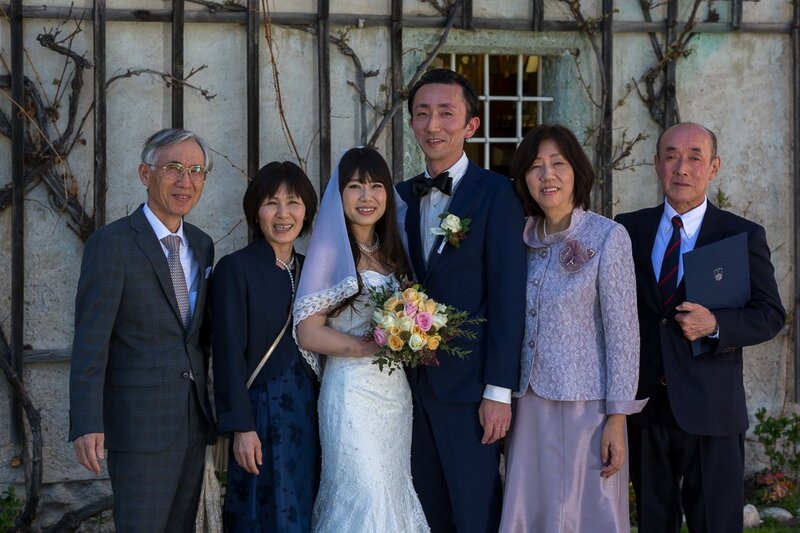 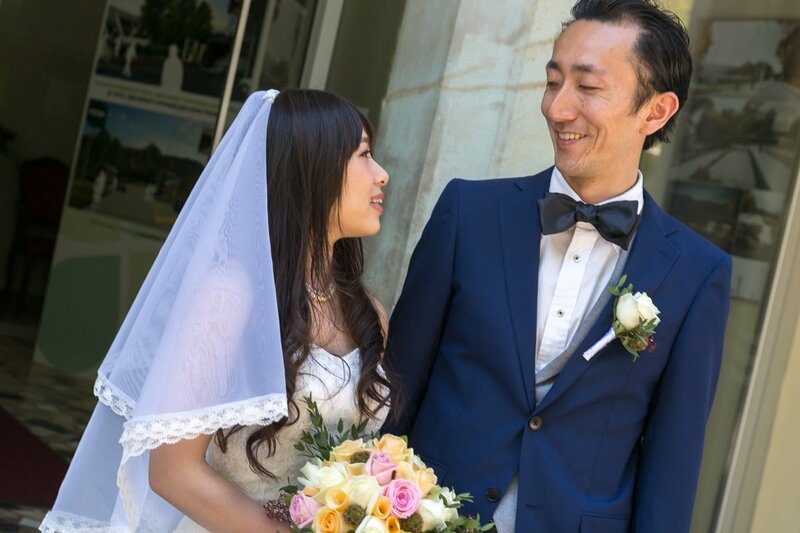 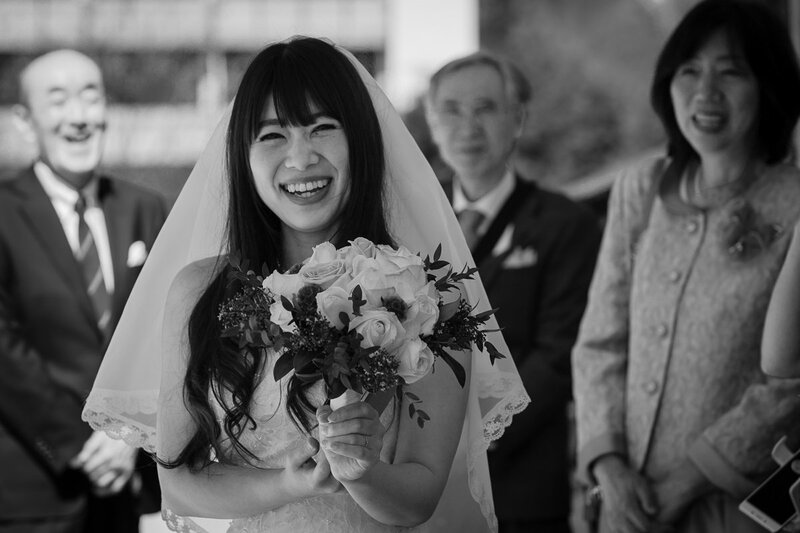 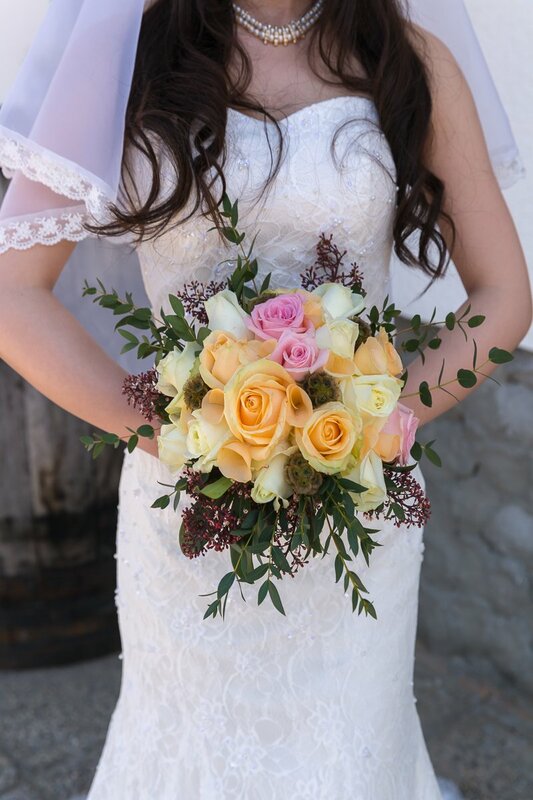 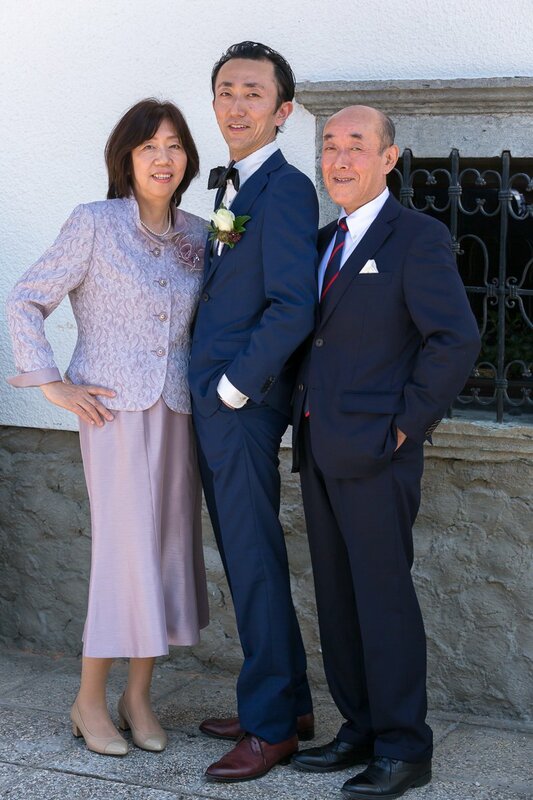 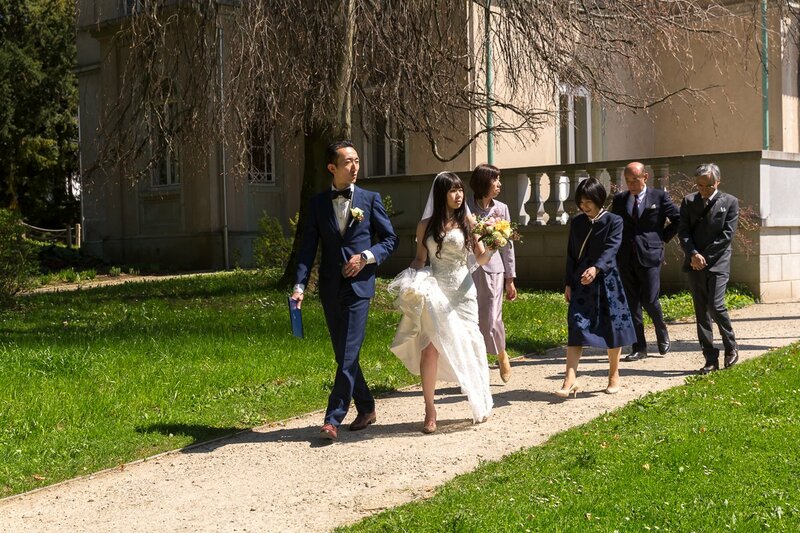 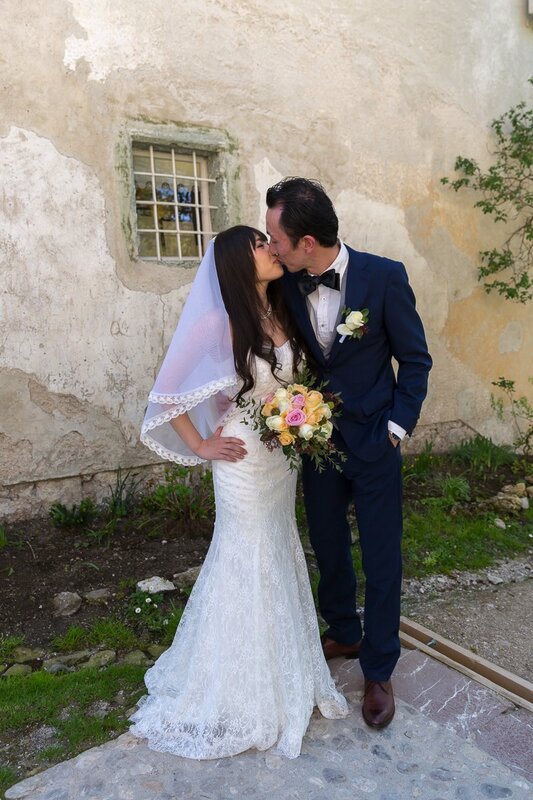 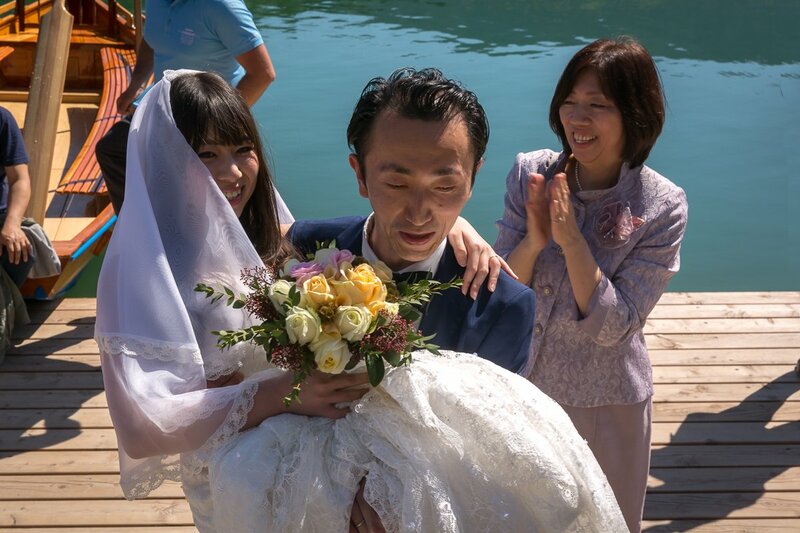 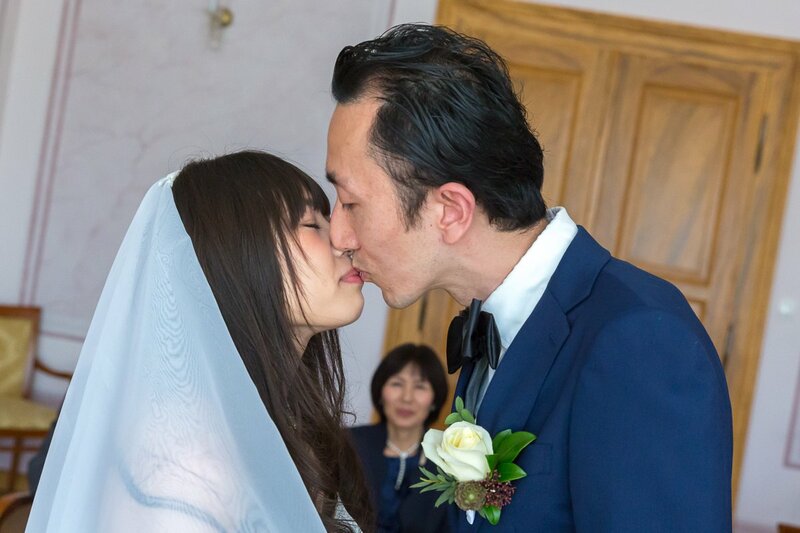 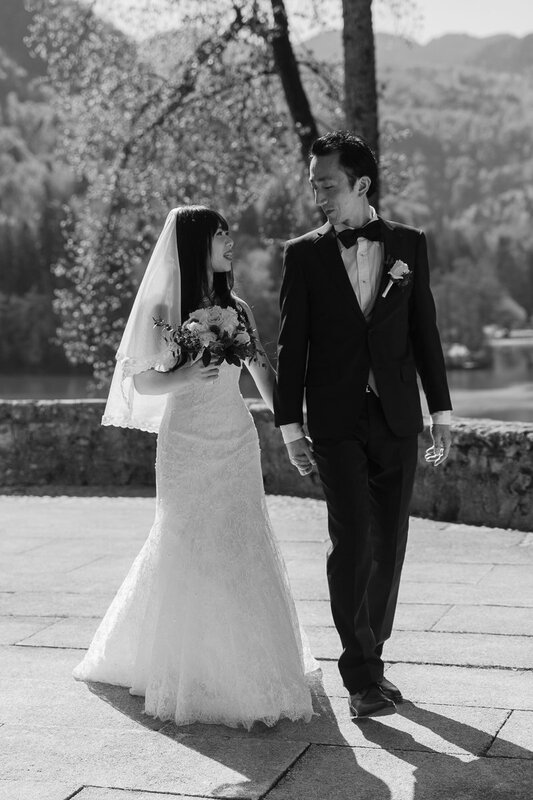 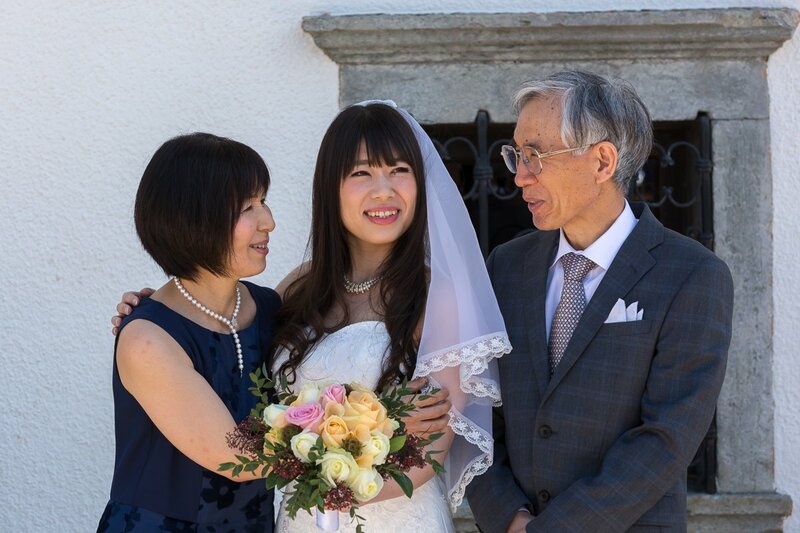 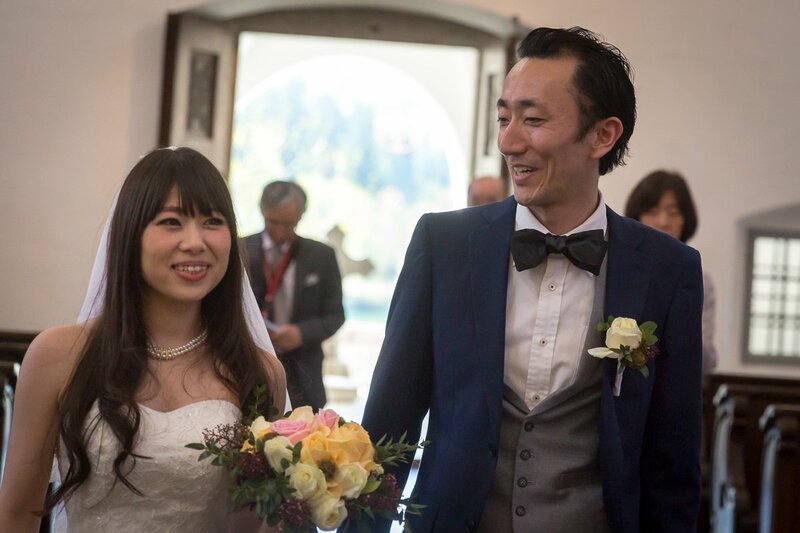 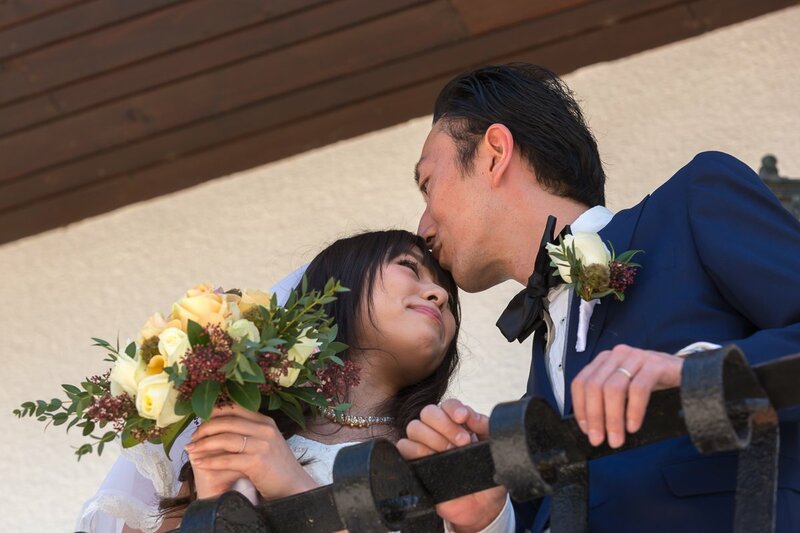 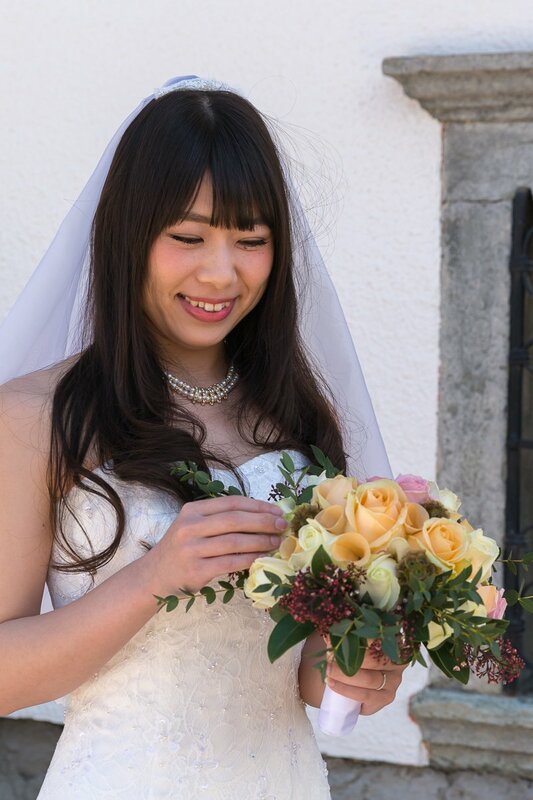 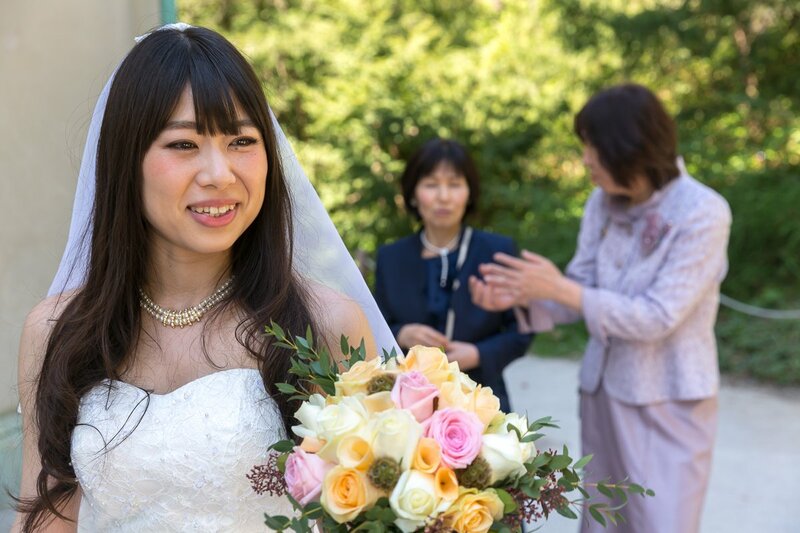 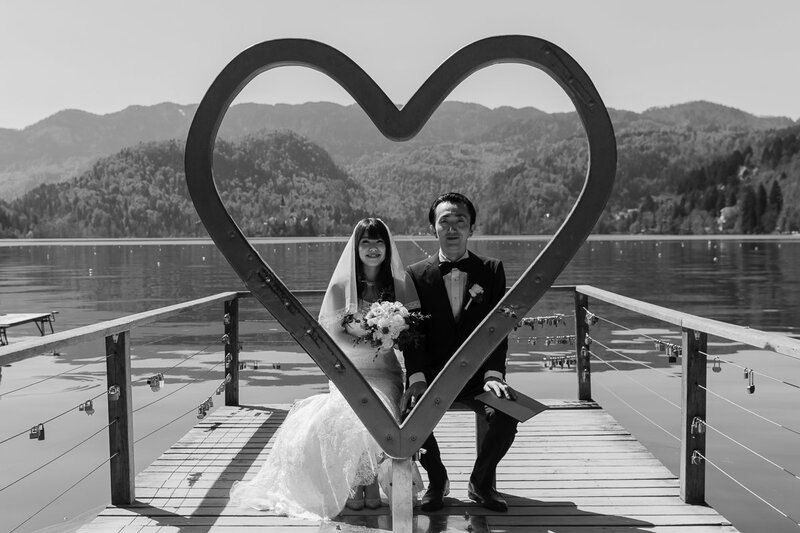 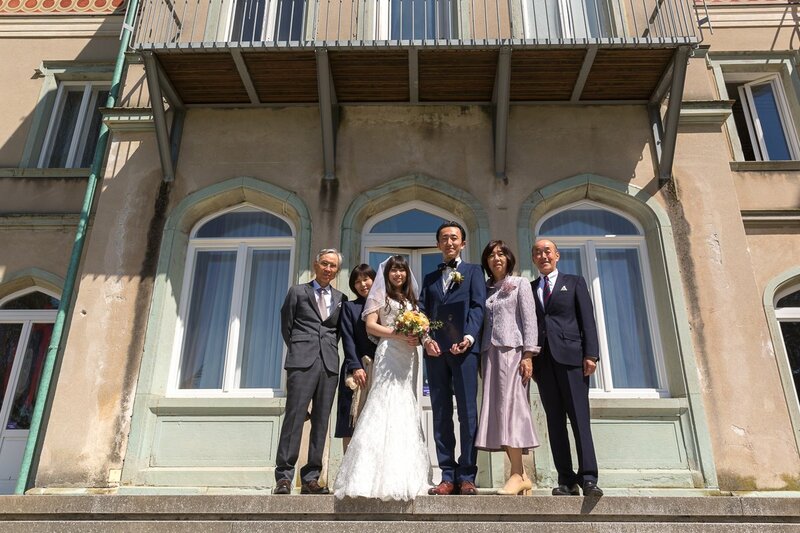 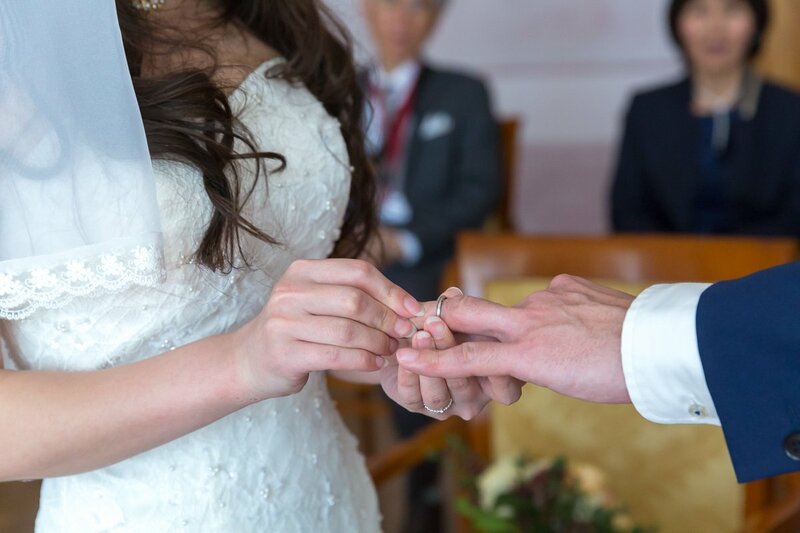 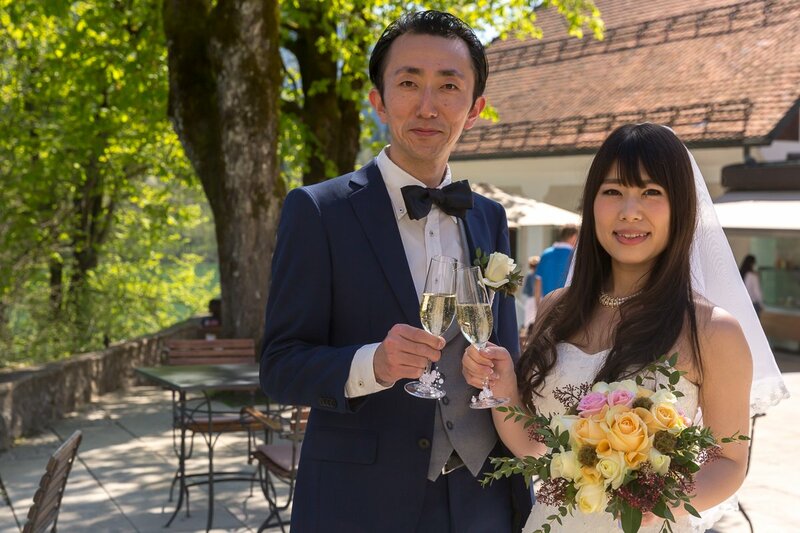 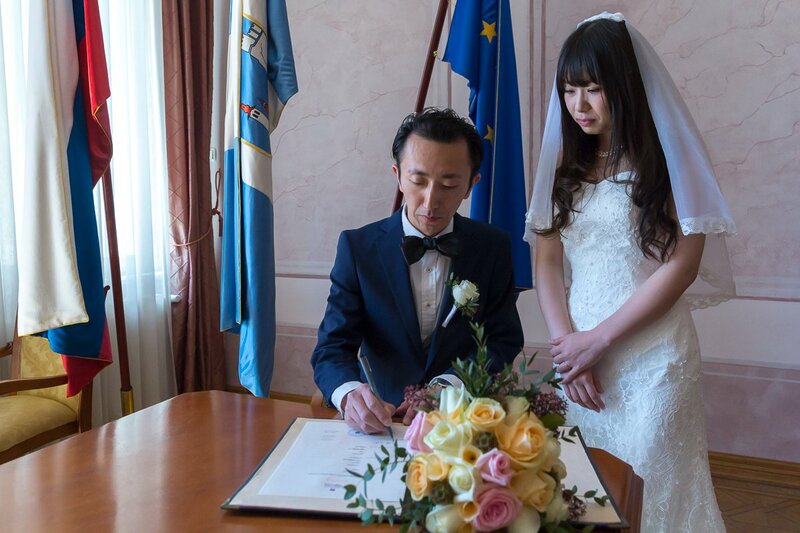 A young and beautiful couple from Japan dreamed of a fairy-tale wedding somewhere in Europe. 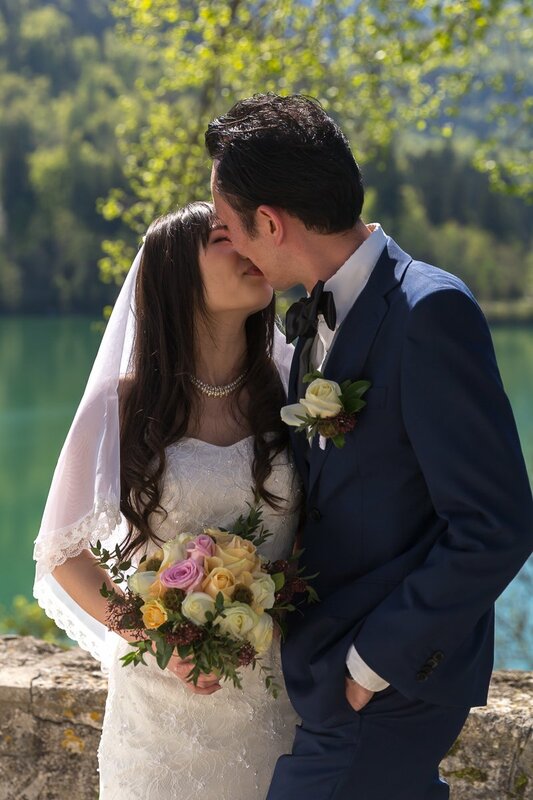 Their dreams came true on a sunny spring day at Lake Bled. 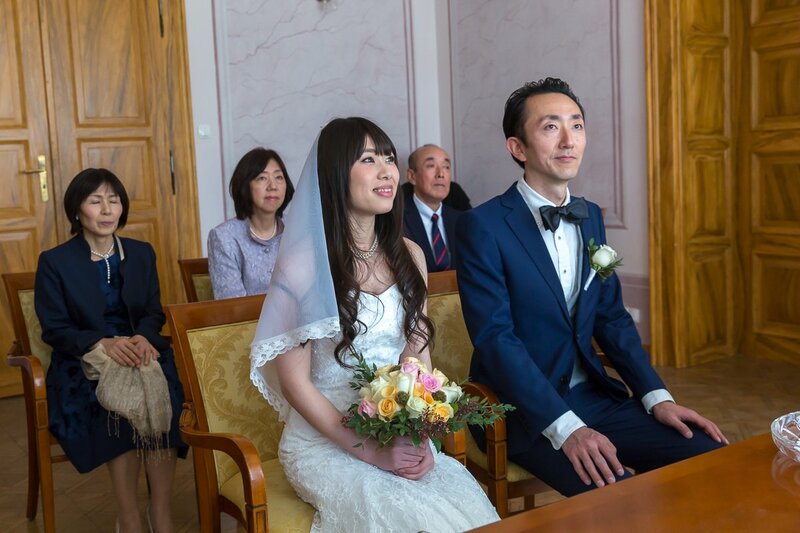 The couple and their parents travelled around Europe for a couple of weeks. 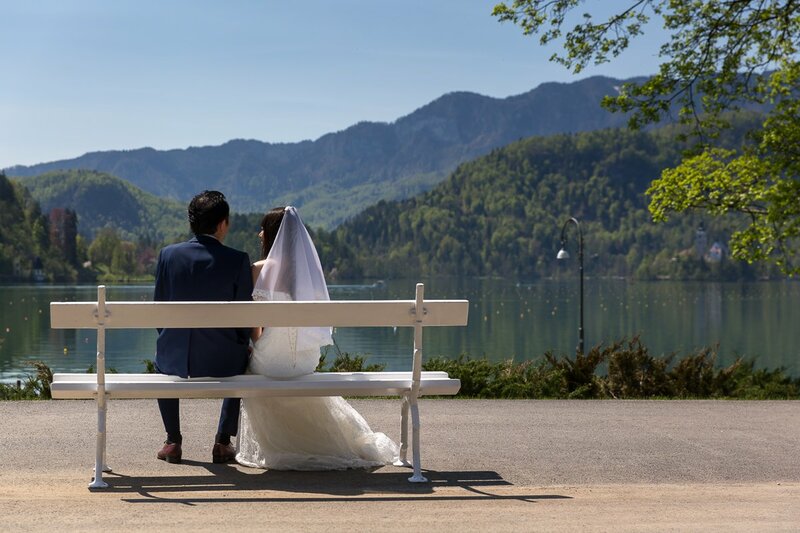 Slovenia was their most important stop, as it was chosen for their wedding destination. 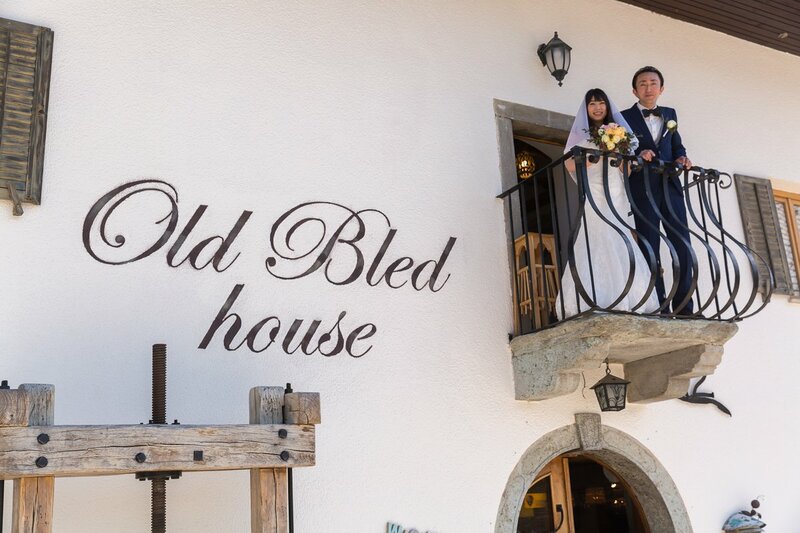 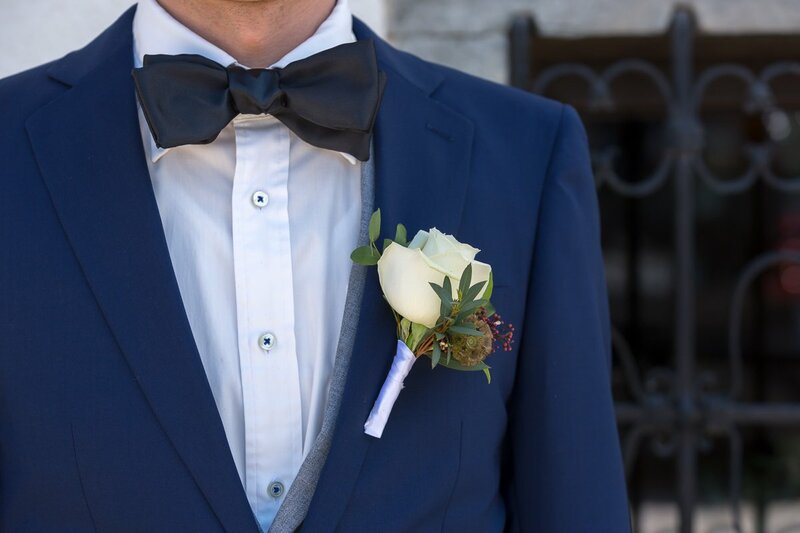 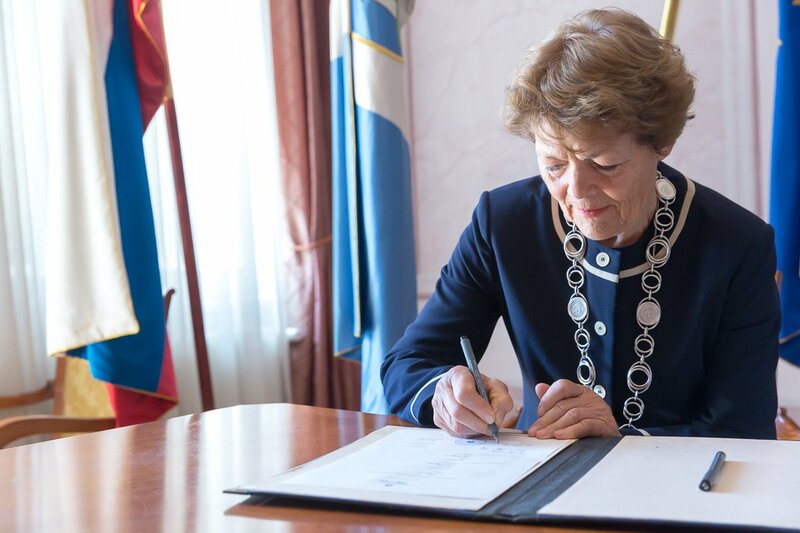 An intimate and sentimental civil ceremony took place in Bled town hall. 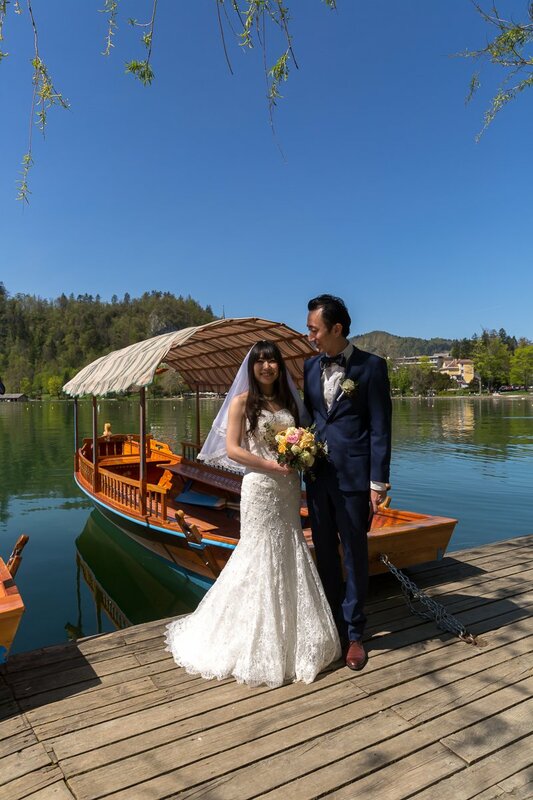 After a short walk to the lake, the boat took them to the island. 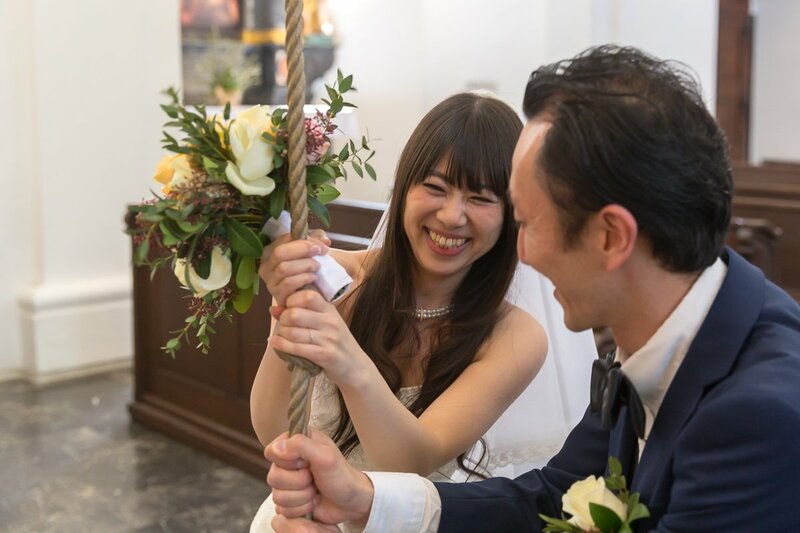 The groom easily carried his bride upon 99 steps and with the ringing the wishing bell in the church, the knot was tied.